The bathroom is a lovely necessity that we have turned into luxurious spaces where we spend lots of time. Most of our clients take this room very seriously and our designers work hard to bring both functionality and personality into this space. It used to be in days gone by, if there were one tiny sink, a little toilet and a tub/shower combo it was a huge win. Any one of those renovation shows on TV will show that in older homes, even if there were an on suite bath off the master, it wasn’t very impressive, and that’s always one of the very first things on the plans. The baths we have had a part in building for our wonderful clients usually consist of 4 main features. Who doesn’t imagine long, hot baths after a long day? Even if it only happens every blue moon, it’s so nice to dream of this as an option that you could take advantage of every evening. Our clients’ take the bath seriously and look forward to picking the very best one for them. They come in many shapes, sizes and silhouettes including the traditional claw foot, the more formal oval with a pedestal or the clean modern rectangle or oval. Whichever you choose, this feature is sure to be a huge benefit in the relaxation arena. If you read our last blog on trends in 2019, you would’ve learned that color is super “in” this year! Baths are no exception! GO bold, brave or stay neutral and calming. Either way, make the space something you can enjoy. Use color on the cabinetry with a cool background color or tile choices or go bold with the tile to make a statement. Trim is even a place to choose colors to accent the feel of your fixtures and space. Places to keep all things bathroom related is so important in any master bath. Whether its cabinetry with lots of cubbies, drawers and shelves or its built in bookcases for all those towels or décor to bring life into the space, storage is super important. 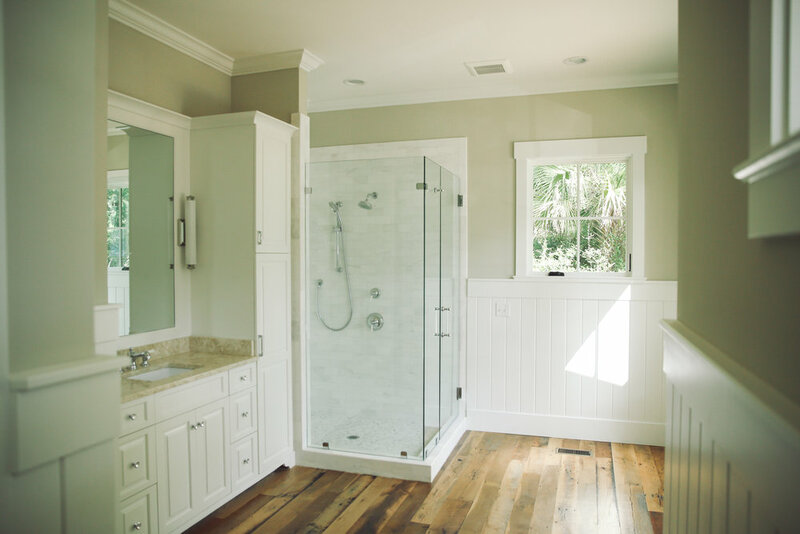 This space is usually much more used than that gorgeous tub, so its important the material and design of the shower fits your needs. Tile can be beautiful but also purposeful in its finish. While benches and a perfectly placed niche can bring its usefulness to a new level and allow one to shave and bathe with ease! SO much to think about to make your master bath perfect for the way YOU use it. But we have 4 amazing designers to help with every step and design a space that is both gorgeous and useful!